Welcome to the Lunation Press website. We are a specialist book publishing company with interests in Astrology, Aviation, Literature, Botany, Screenplays and Children's books. 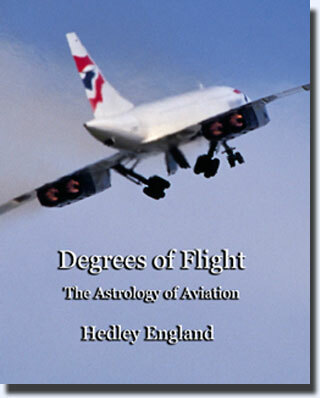 Degrees of Flight is our first publication, and we have other titles in development. Our policy at Lunation Press is to produce books that are not only unique but offer new insights in their chosen subject. Whilst we would love to produce a best seller, the introduction of digital printing has also meant that very small print runs are available to cater for niche marketing books. Degrees of Flight explores the major aviation events from the Montgolfier Balloon ascent in 1783 to the last commercial flight of Concorde in 2003, a span of 220 years from an astrological perspective. The most important event since 1783 was the flight by the Wright brothers at Kitty Hawk, North Carolina, USA in 1903. It demonstrated that Man had mastered the dimension of the skies through the use of powered and controlled aircraft. 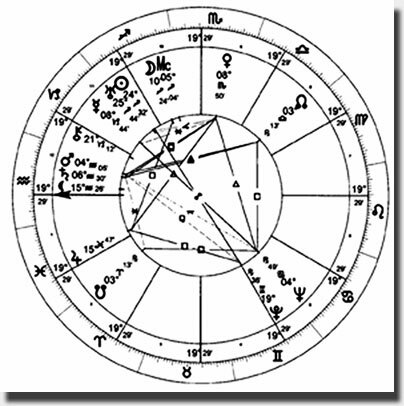 An astrological argument has arisen that a special degree - the MC degree or Midheaven of 5 degrees Sagittarius for the chart of that event somehow represents the paradigm of powered flight. Degrees of Flight also develops new methods of prediction, to predict not only when but where an aviation event is likely to happen - good or bad - through Solar returns and new Moons or lunations. The book is an enjoyable read because it has been written in a fictional style based upon fact, putting you the reader there at the time of the events, with me the official astrologer making reports and drawing up charts. There are over 40 photographs of aircraft, some in colour, and over 320 charts placed carefully in the text as the story unfolds over 224 pages. Degrees of Flight is a unique book that takes a sceptical view of astrology. This healthy attitude lets the astrology drive the story through the astrological signatures of prediction, and through post analysis of these events I learn more as an astrologer. This analysis uncovers issues which may challenge some long held beliefs and upset the current mind set of main-stream astrologers. However, the new findings reveal a Universal Truth that, once accepted, will push astrology further. Please order through the inner page.